New Service: Now Installing Air-Conditioning! 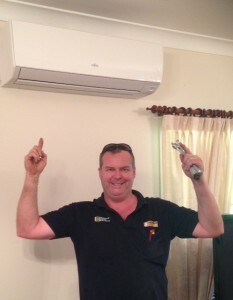 We have had to keep this a secret, but over the past few months Chris and the team have been hard at work learning the intricacies of installing split system air-conditioning, and getting their air-conditioning installation licenses. They now have ARC and QBCC accreditation which means they are now licensed to install split-system air-conditioners in Brisbane. Chris has also been checking out all the different brands on the market, and has arranged some super deals on Mitsubishi and Fujitsu split-system air-conditioners. So now, if you are looking for the supply and installation of quality air-conditioners, you can give the TMOT team a call, and we will come out, measure up your space and give you recommendations on the best air-conditioning units to suit your needs. 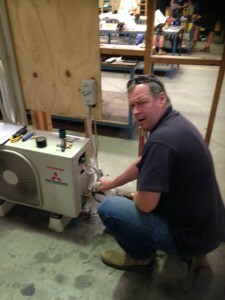 Chris’s first air-conditioning installation. Pretty snazzy! 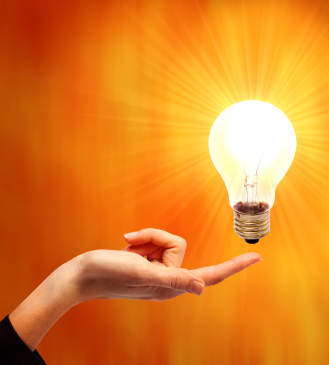 Call us to organise a quote for a new split system air-conditioner just in time for Christmas! 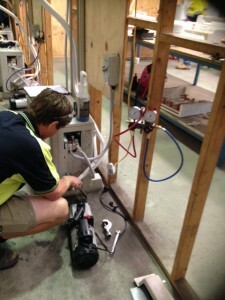 Need an air-conditioner installed in Brisbane? Call us!